Updated: Nov. 28, 2018, 5:15 p.m.
Four performances are scheduled through the weekend at Brenau University’s Pearce Auditorium, and the company’s artistic director Diane Callahan expects the room to be filled at each one. 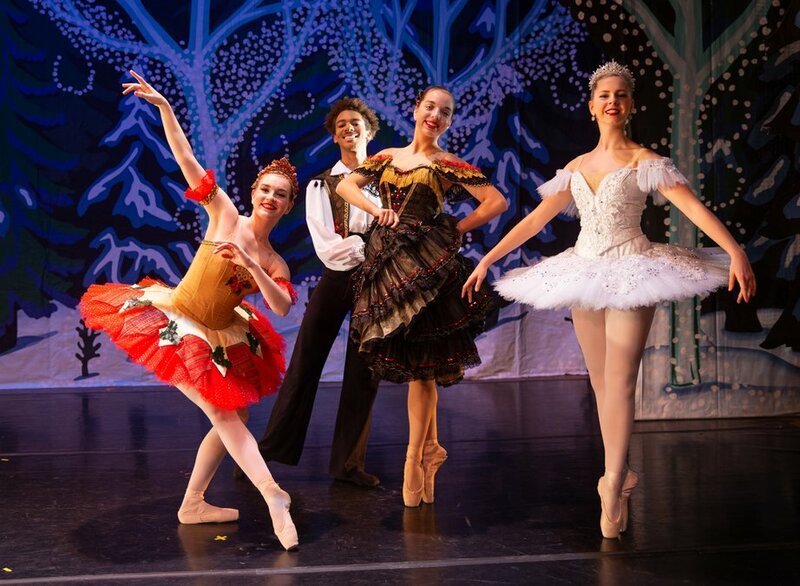 While the company’s rendition is adapted from the original version of “The Nutcracker,” Callahan said she’s made some changes throughout the years. Along with using different music, Callahan said she also cut a few scenes. She most of her changes have revolved around adding more dancing for the children. She said the ballet includes about 50 dancers, who range in age from 6 years old to professionals in their 30s. Mary Rose Gibson, a senior dance major at Brenau, said she’s been involved with the Gainesville Ballet’s ‘Nutcracker’ for the last four years. Callahan has been carving out parts for Gainesville’s dedicated performers. Alexis Arria, a professional dancer who will be the “Sugar Plum Fairy” in the ballet, said her favorite part is seeing the reaction of children.